When Edith Heard was a child of about seven or eight, her father sat her down at the kitchen table in their London home to teach her some basic arithmetic. It wasn’t long before she began asking questions. Why do we count? How did the numbers we use get chosen? Where did they come from? Neither her father nor anyone else around her knew the answers. Heard recalls lying awake at night, questions about the origins of numbers churning in her mind long after her parents had gone to sleep. Looking back, she is careful not to glamorise her inability to let go of a problem. “My poor father, just trying to teach me how to add – I think he was at his wits’ end,” she says, smiling. But this quality of obsessiveness – as Heard describes it – might now be considered an asset. 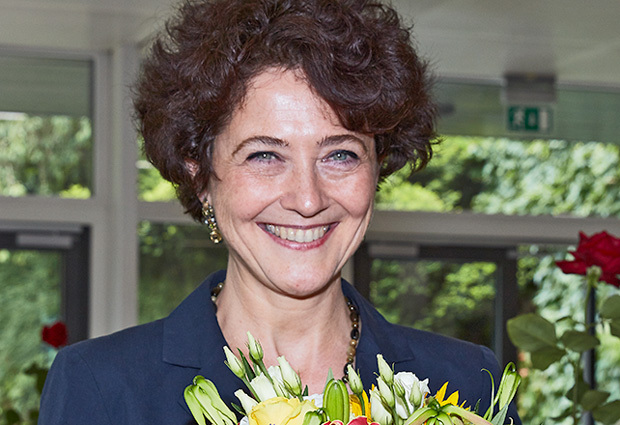 It was partly an obsession with a particular area of epigenetics that led Heard to her current position as Director of the Genetics and Developmental Biology Department at the Curie Institute in Paris, and to her appointment as Director General of EMBL – a role she will take up in January 2019. 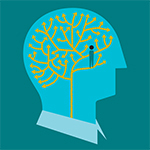 The questions that Heard has been unable to let go of in her adult life concern epigenetics: the study of changes in gene expression that are stable, heritable, and reversible – without affecting the DNA sequence. While genetics can tell us that a certain gene is associated with a certain disease, simply carrying that gene won’t necessarily cause the disease to develop. Rather, changes such as the attachment of groups of chemicals to DNA can change how the body interprets the messages provided by our genes. A self-declared late convert to biology – Heard had her first introduction to the field while studying Natural Sciences at Cambridge, having originally intended to pursue a career in physics – she left university with a passion for genetics. This led her to study gene amplification in cancer cells at the Imperial Cancer Research Fund in London, before joining the lab of Phil Avner at the Pasteur Institute in Paris. There, she worked on a key epigenetic mystery that continues to fascinate her: the silencing of a chromosome that occurs in most female mammals. Usually, if a fertilised egg inherits an X chromosome from its mother and a Y chromosome from its father, it develops into a male. If it inherits an X chromosome from each parent, it develops into a female. But there’s a catch: having two functioning X chromosomes in the same cell can be fatal. Cells in females solve this problem in a simple-sounding way: they switch one X chromosome off. This process, called X inactivation, leaves females with a mix of cells – some in which the active X chromosome is the one inherited from the mother, others in which it’s the one inherited from the father. But, as Heard has discovered through her investigations, nothing about the way X inactivation works is simple. During her postdoctoral work at the Pasteur Institute under the guidance of Phil Avner – currently head of EMBL Rome – Heard helped to narrow down the region of the X chromosome that acts as the master control centre for X inactivation. This X-inactivation centre produces a key player in the inactivation process: a large RNA molecule called Xist (X-inactive specific transcript), which can associate with the X chromosome it is transcribed from, triggering chromosome-wide silencing. However, the extent of the DNA sequences required to express Xist properly was not clear. Heard added DNA fragments of different sizes that included Xist into embryos and embryonic stem cells to see whether they were sufficient to trigger X inactivation at ectopic sites. This led to the unexpected discovery that production of Xist requires regulatory DNA sequences – sequences that control the gene’s expression – which must be located at large distances away from it on the X chromosome. Later, the hunt for these missing sequences by the Heard Lab, in collaboration with Job Dekker at the University of Massachusetts, led to the discovery of large, self-interacting regions of the genome that they called topologically associating domains (TADs). This discovery opened up an exciting new area of research, as TADs are regions of DNA that often bring regulatory elements located on different parts of a chromosome into close contact. 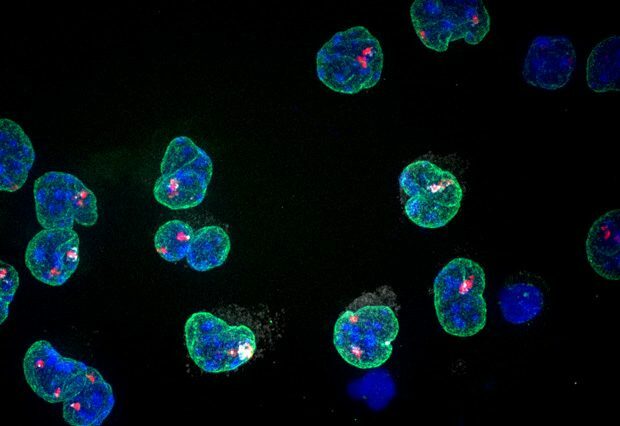 Disrupting TADs can lead to disease because changing the 3D organisation of the chromosome can disrupt normal gene regulation. The Heard lab discovered that Xist’s missing regulatory sequences lie in a regulatory landscape spanning at least two TADs and over 800 kilobases in size. In her quest to understand how the X-inactivation centre is folded and expressed, Heard spent a year as a visiting scientist working in David Spector’s lab at Cold Spring Harbor Laboratory, where she developed combinatorial imaging approaches to investigate chromatin and gene expression in individual cells – important for understanding how the same cell switches one X chromosome off while leaving the other one functioning. “She’s encyclopaedic in terms of the scientific literature, which is refreshing, given that some scientists are so focused on what they’re doing that they don’t see the big picture,” says Spector. Edith Heard will be a keynote speaker at the EMBO | EMBL Symposium, ‘Principles of Chromosome Structure and Function’ at EMBL Heidelberg, 5-8 September 2018. Some of the most fascinating questions in science are about origins. As part of our latest editorial theme, we’re exploring the idea of origins at EMBL. We want to talk about the origins of biological systems, about our people and the paths that brought them here, and the discoveries and ideas that have their origins here. Read more articles in the Origins theme.